The item Depraved heart, Patricia Cornwell, (electronic resource) represents a specific, individual, material embodiment of a distinct intellectual or artistic creation found in Lawrence Public Library. 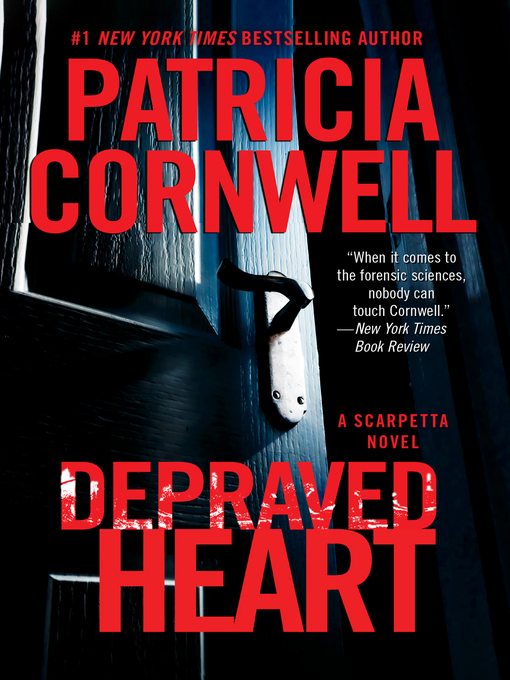 Patricia Cornwell delivers the newest engrossing thriller in her high-stakes series starring medical examiner Dr. Kay Scarpetta.Depraved Heart: "Void of social duty and fatally bent on mischief. "&#8212; Mayes v. People, 806 III. 306 (1883)Dr. Kay Scarpetta is working a suspicious death scene in Cambridge, Massachusetts when an emergency alert sounds on her phone. A video link lands in her text messages and seems to be from her computer genius niece Lucy. But how can it be? It's clearly a surveillance film of Lucy taken almost twenty years ago.As Scarpetta watches she begins to learn frightening secrets about her niece, whom she has loved and raised like a daughter. That film clip and then others sent soon after raise dangerous legal implications that increasingly isolate Scarpetta and leave her confused, worried, and not knowing where to turn. She doesn't know whom she can tell&#8212; not her FBI husband Benton Wesley..